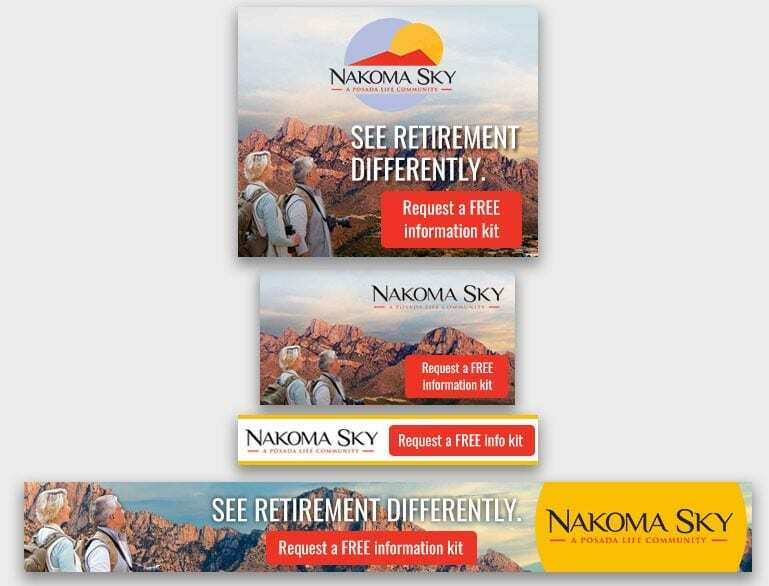 Guest blog by Doug Leidig, President and CEO of Asbury Communities, Inc.
It’s not an exaggeration to say that in the past few years, we’ve seen the tech industry’s focus on aging services explode. 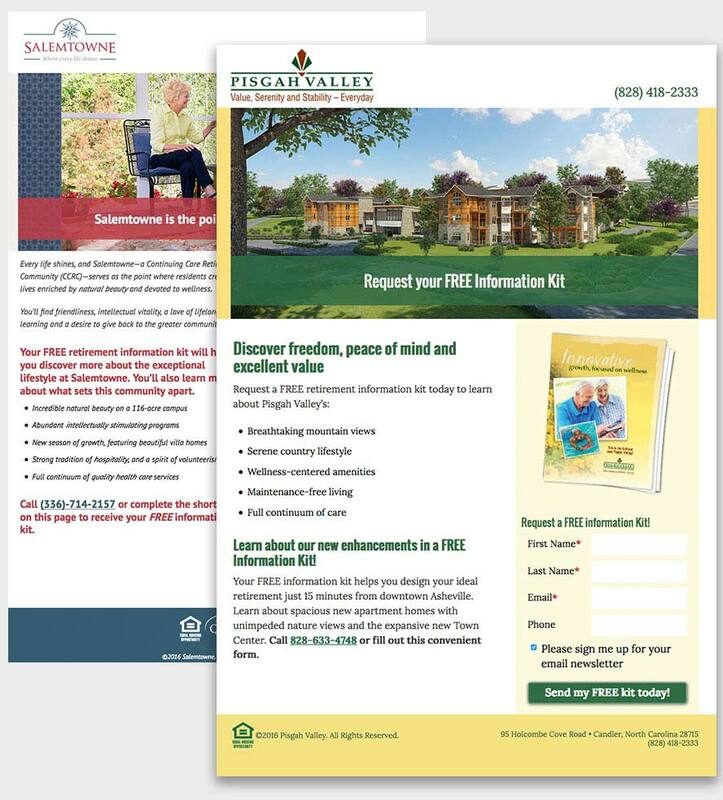 Consolidation in senior living, new developers, and even hoteliers are raising the stakes for being able to stand above the competition and prove that we offer a way to age better. So how can we move quickly enough to realize the tremendous potential technology brings to grow our Mission while fully honoring our commitment to resident safety and privacy? Start small but start now. A soon-to-be pilot at one of our communities will use 3-D sensors to assess a person’s gait, balance, and leg function. Based on the results, program administrators will create a mobility enhancement plan for each participant. We hope this will be transformative. Falls-related statistics from the National Council on Aging bear repeating. One in four people in the United States fall each year. Once you reach 80 years, you have more than a 50 percent chance of falling annually. Falls are the leading cause of non-fatal hospital admissions among seniors and the leading cause of fatal injury. An often hidden cost of this heightened risk of falling is self-isolation, even in retirement communities like ours. Imagine an easy-to-administer program that could help prevent that and shift these devastating numbers. In 2018, we brought smart home features and voice technology to Asbury Methodist Village through Connected Living in partnership with Sodexo and our subsidiary The Asbury Group Integrated Technologies. We started small by asking for volunteers among residents of one floor of one apartment building. Training is ongoing. Communication that addressed data privacy and scheduled feedback sessions have helped us continue to gain volunteers. Residents are now eagerly looking to a campus-wide roll-out. 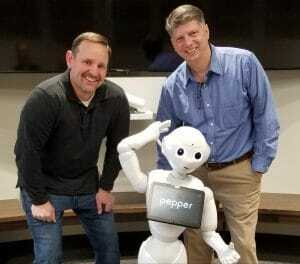 Just this month, we brought “What if?” to our Frederick, Maryland headquarters in the form of Pepper the Robot. Doug Leidig of Asbury (L), Tom Mann of Love & Company (R), and Pepper the Robot, at the Asbury HQ. We believe this technology will provide an important glimpse into how people of all ages can engage with artificial intelligence. See what Pepper’s up to by checking in with Asbury Communities’ LinkedIn page. We’re posting regular updates. 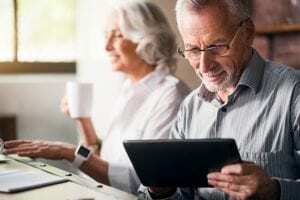 It’s clear to us that older adults are ready and able to embrace technology. At Asbury, we have seen a marked increase in residents choosing e-communication at our communities and significant increases in prospective residents accessing our marketing platforms with mobile devices. Resident enthusiasm around new technology is another strong indicator. Technology is one way to address real and serious societal needs around aging. They include helping people age more safely in the face of health challenges, boosting cognitive and social engagement, and giving adult children and caregivers a window into the homes of loved ones who are aging in place. By building leadership teams that are ready to question the status quo and embrace new ideas, Asbury is opening itself incredible opportunities. By approaching opportunities with a clear framework, Asbury will do right by residents while being ready for the future. It’s a very exciting time for senior living, and the possibilities brought by technology are key to that. I can’t wait to see it play out.